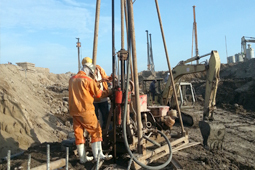 The main purpose of this geotechnical investigation is to explore the subsurface stratigraphy of project’s area and to obtain design criteria and construction recommendations for the foundation design of proposed site. 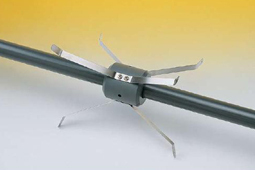 Use drilling machines : XY-1, XY-1A, XY-4, GK-180…. And Dedicated laboratory equipment. 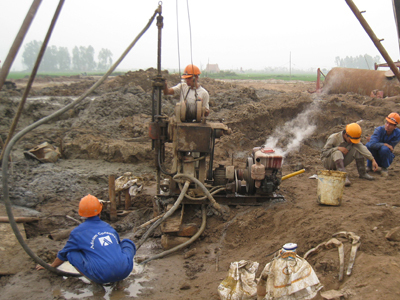 perform the following tasks: Rotary Wash Boring, Standard Penetration Test (SPT), Sampling, Ground Water Monitoring, Cone Penetration Test (CPT), Cross hole test, Electrical Resistivity test, Thermal Resistivity test, Plate loading test, Trial pit, Field permeability test, Laboratory tests (Physical and mechanical properties; Soil classification, Compaction test, …). Determination of vertical and lateral distribution and thickness of the soil and rock strata within the zone of influence of the proposed construction or development. Determination of physical and engineering properties of subsoil/rock formation. 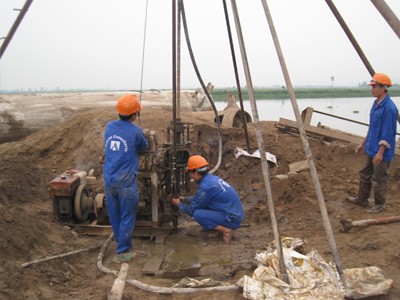 Determination of groundwater conditions with consideration of seasonal changes and the effects of extraction due to construction or development. 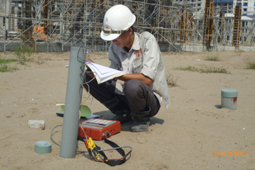 Determining of electrical resistivity of soil. 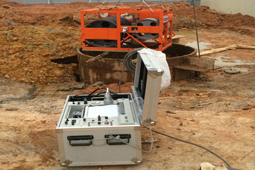 Evaluation of dynamic soil properties. 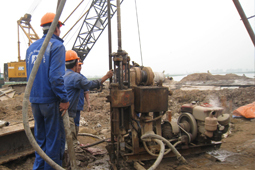 Provide the geotechnical data for designing soft soil improvement & foundation of structures and buildings. Collection of existing and nearby data such as Topographical map, drainage condition, stream condition.